UPGRADING YOUR HOME EMF PROTECTION SYSTEM? The original version of the Home EMF Protection System consist of just 3 plugs i.e. the base plug where the other Scalar and System plugs will plug into. For many years this system had worked well but with recent technological development across the globe, there is a need to upgrade the system so an Update1 plug was added in 2013 and the system becomes a 4 plugs set. In 2014 another upgrade was introduced with an update2 plug so the system now becomes a 5 plugs set. 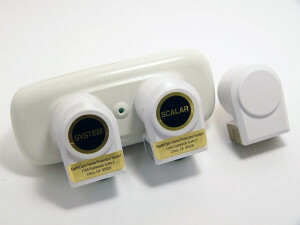 Later, the original Base plug with the Scalar, System and Update1 plugs were integrated to become a new 3 plugs set comprising Base plug, Home and System. The integrated set now comprise of Base plug, Home and System plug. If you had purchased these earlier 3 plugs system shown here you can upgrade with the Update2 shown at the bottom of the above photo to increase the strength to the latest configuration. Users who had bought an Omega WiFi to combine with their earlier 3 or 4 plug Home EMF Protection System can still purchase the Update2 plug to increase the protection of their home using the concept of the home system sending out modulated signals via the home electric grid instead of using the Omega WiFi to send the modulated signals via the WiFi of their router. The replaced Omega WiFi can still get a second lease of life by using it on their laptops when they are using it outside their home. 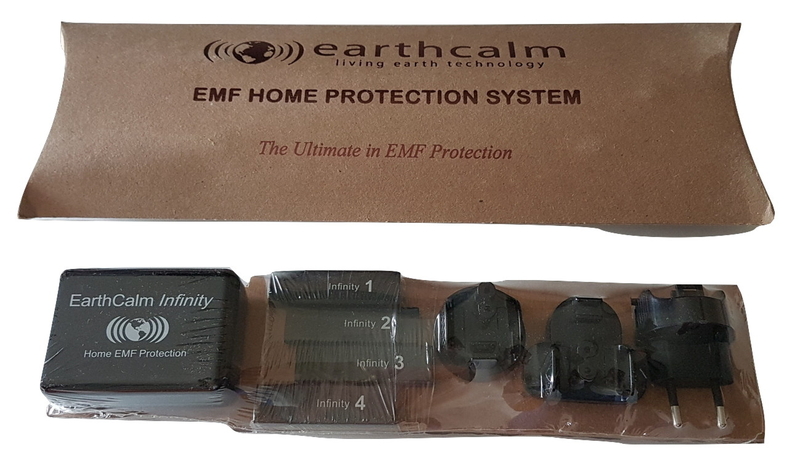 Phasing out the traditional Home EMF Protection System and early version of the Infinity Home EMF Protection System. The Infinity1 shown below will be replaced by a new and more powerful version. The new Infinity2 with a new packaging is shown below. 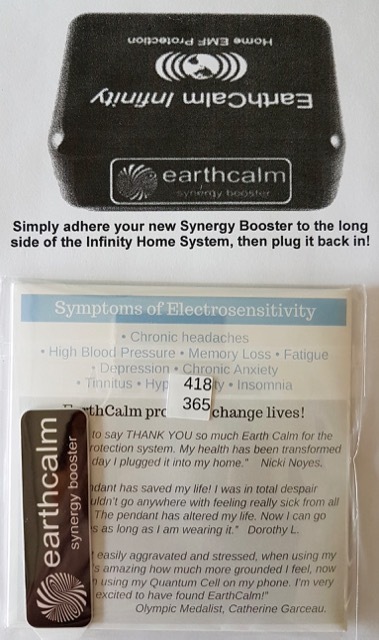 The traditional HPS and Infinity1 HPS can be upgraded with a booster to bring it up to the strength of the Infinity2 by adding a booster patch shown below. These boosters will be available from 25 July 2017. The sterling silver may tarnish from time to time. It may tarnish more often than usual for some people, due to detoxification, heavy perspiration, etc. Use a silver polishing cloth or gentle silver polish and a soft, clean cloth to clean it. Tarnishing will not interfere with the effectiveness of the product. According to expert opinions, some users may find that their sterling silver chain tarnished more due to contact with highly acidic perspiration or contact with other chemical agents like perfume, makeup, hairspray and cleaning products. To minimize contacts with these chemicals, please wash your hands after handling these items before you touch your sterling silver chain. The Home EMF Protection System in use must always be switched on at all times for the protection circuit to be in connection with the electric grid. Please check with a light bulb or use a plug adapter with an indicator light to show that power is connected. As latest factory test proved that the Home EMF Protection System will work without the green neon light, future versions of the system will be supplied without the neon light. All you need to do is to make sure that your wall socket switch is flipped to the on position. 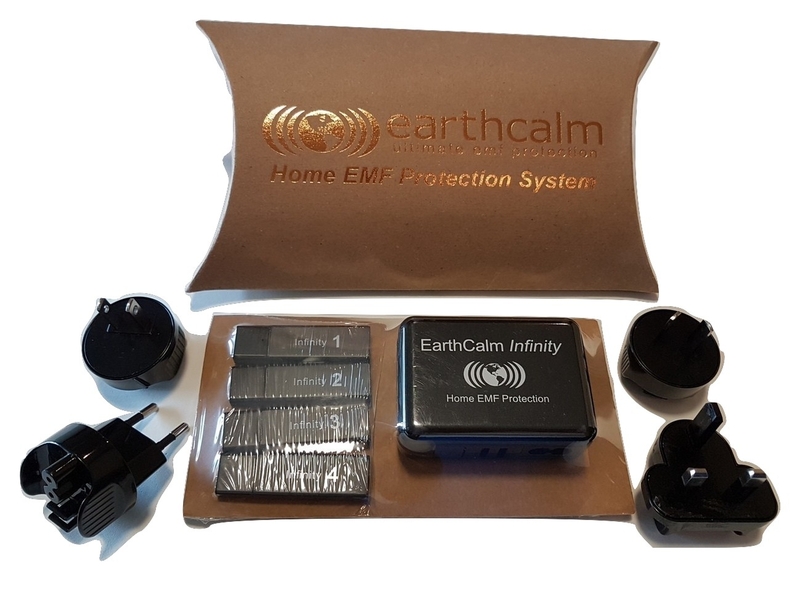 Earthcalm system does not draw current or have any moving parts in the device as the proprietary circuit within the device will resonate with the electric grid to send a protective field to every user within the household. Caution: The base plug is designed for use with the Scalar & System plugs. It must never be used as a power adapter for other appliances. 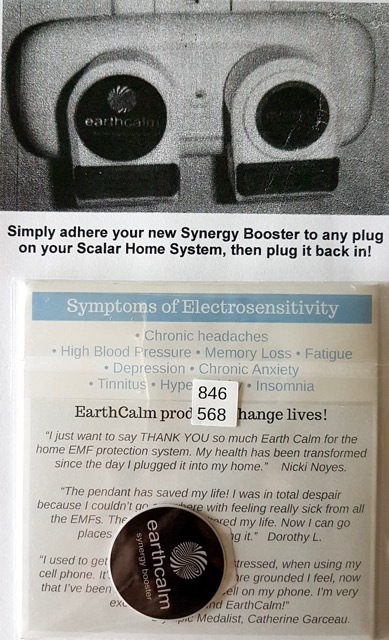 Serious damage may result if used with any appliances other than the above EarthCalm plugs. 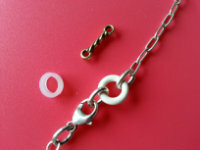 The insulator forms a very important integral part of the Nova Resonator when a metalic chain is used with the pendant. Various types of insulator may be provided at time of delivery but they all offer the same function of preventing a loop effect on the EarthCalm circuit around the neck or ankle. When the pendant is worn with a fibre, leather or rubber cord, the insulator is not required. Spare insulators are available at $5.00 each excluding shipping.